He looked ready; he felt ready and he ultimately sounded ready, using an “ultra-vocal approach” to up the intensity level as he returned to practice on Tuesday. 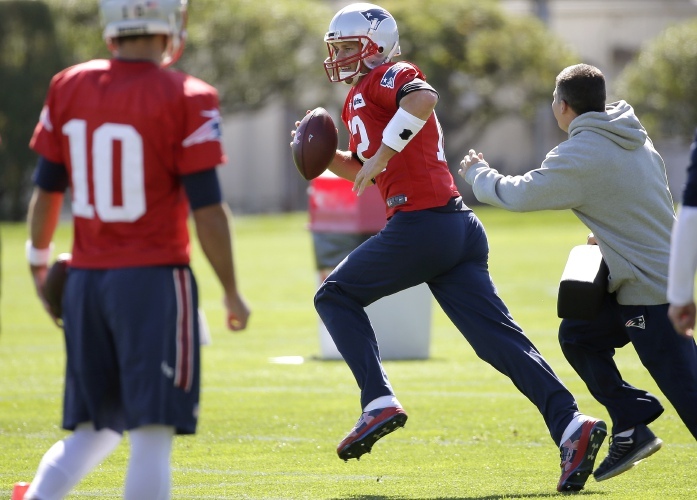 The 40-year-old quarterback had missed seven weeks of New England Patriots voluntary workouts before returning yesterday, and according to players and reporters, it seemed as if he didn’t miss a beat during his time off. “Tom’s a great leader, and obviously when he’s in the huddle, it’s great to see him,” receiver Chris Hogan said. While his teammates and fans are excited to see him back, his family is probably grateful for the quality time with him the last month and a half. Brady had previously acknowledged that his wife and kids make major sacrifices during the season and stated that taking time off for them would help him get rejuvenated to become a better teammate and a better player.